Have you experience any delicacy infusing or pairing with CONNOR’S Stout Porter? If you haven't, then you should visit Hubba Hubba – The Party Hub. For this month, The Hubba Hubba – The Party Hub will serve few of the exclusive dishes that is infused with CONNOR’S Stout Porter. The Hubba Hubba - The Party Hub provides a variety of comfortable settings for either relaxed all-day dining and drinks, or energetic late-night partying. If you do noticing, The Hubba Hubba the Party Hub do have a cool concept decor and a creative menu. 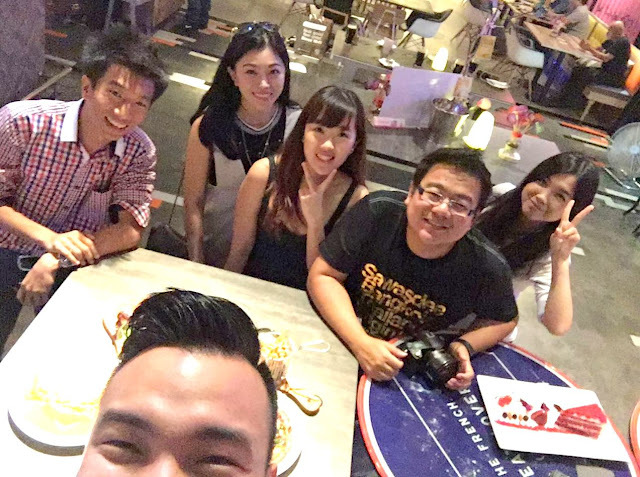 It’s definitely one of the best place to chill out with your friends. The curry paste has been infused with the CONNOR’S Stout Porter. Not only that, generous amount of mozzarella and cheddar cheese is sprinkled on the crust followed by a lamb varuval topping. Finally added fried dried chilli as well as red onion sprinkles on the top of the Asian Spicy CONNOR’S Lamb PIZZA. If you could handle SPICY cuisine then you should try out this Asian Spicy CONNOR’S Lamb Pizza. The Asian Spicy CONNOR’S Lamb Pizza is quite crunchy, comes with some spiciness due to some chilli on top and the mozzarella and cheddar cheese tastier. The Asian Spicy CONNOR’S Lamb Pizza tastes perfect when you enjoy while it still hot. The Asian Spicy CONNOR’s Lamb Pizza with a full pint of CONNOR’S Stout Porter for only RM38+. The fish fillets covered with the CONNOR’S –infused batter and then deep-fried until golden perfection. For this dishes, it comes with petite salad and as well as the home-made hand cut fried. The British Brew CONNOR’S Battered Fish & Chips released a rich earthy aroma and when squeezing lemon all around the fish fillets to balances the richness taste. The fish fillets is tasty and I do love the crunchy of the home-made hand cut fried as well. 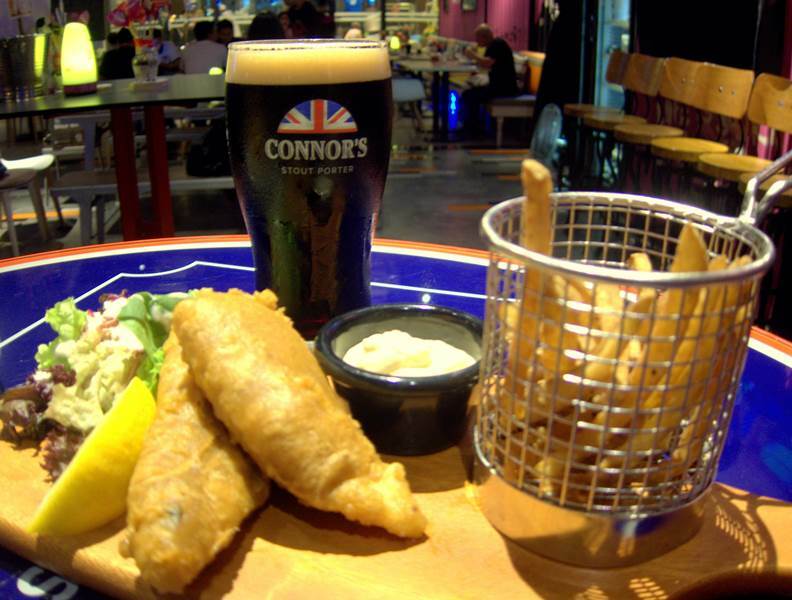 Definitely worth your RM50+ for the British Brew CONNOR’S Battered Fish & Chips with 1 full pint of the CONNOR’S Stout Porter. After the dinner and chat, you should ordered a GRABCar to go back. Its hassle free, safe and you did not need to worry after drinking. Do use promo code "GRABCONNORS" for Grab. You will entitled to have RM8 off for 4 rides to the participating outlets for customers that pay via credit/debit card only. Moreover, for those Grab customers that ride with Grab to the participating outlets, you will be rewarded with a FREE Half Pint of CONNOR’S Stout Porter. All you need is to flash your booking receipt (from your email or your GRAB application) to enjoy this reward. Each booking receipt is entitled for 1 FREE Half Pint of CONNOR’S Stout Porter. 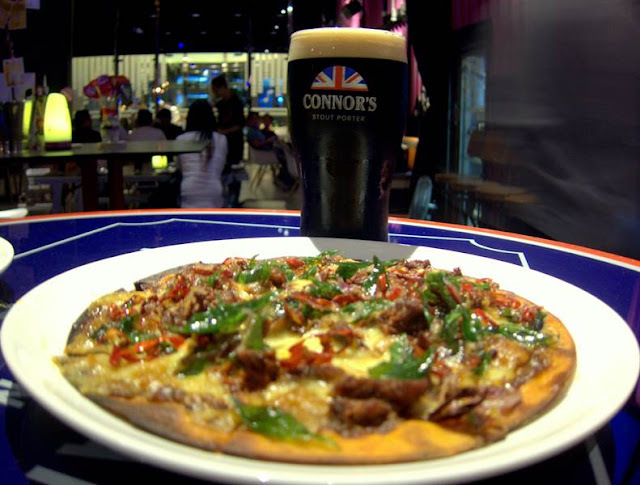 For more updates, do VISIT and LIKE the Official CONNOR’S Stout Porter Facebook Page - http://www.facebook.com/ConnorsMY.